Easter is coming! Do you want to create a dessert that everyone raves about? When I was a kid, my entire extended family would get together on Sundays after church. It was always a good time. We would gather around my grandparents huge dining room table and eat and laugh. My aunt usually brought the dessert, and one of the best desserts that I will remember my entire life is her fruit pizza. It’s seriously that good. 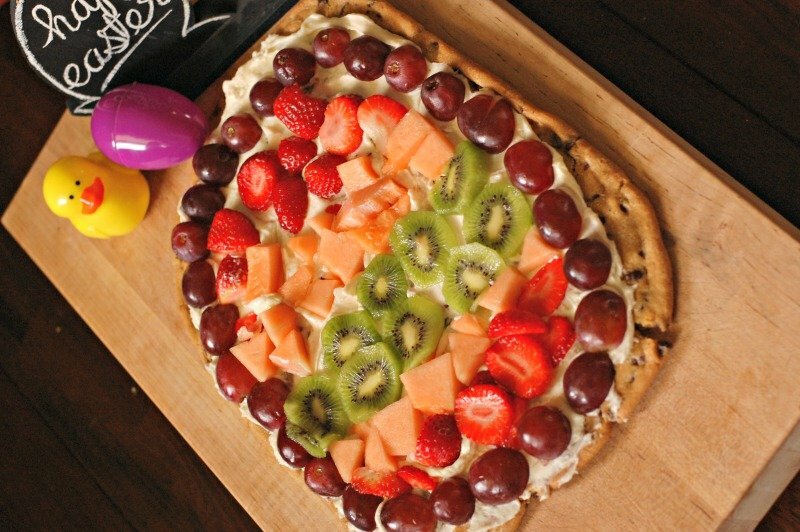 Now that I’m a grown up, I make fruit pizza myself. 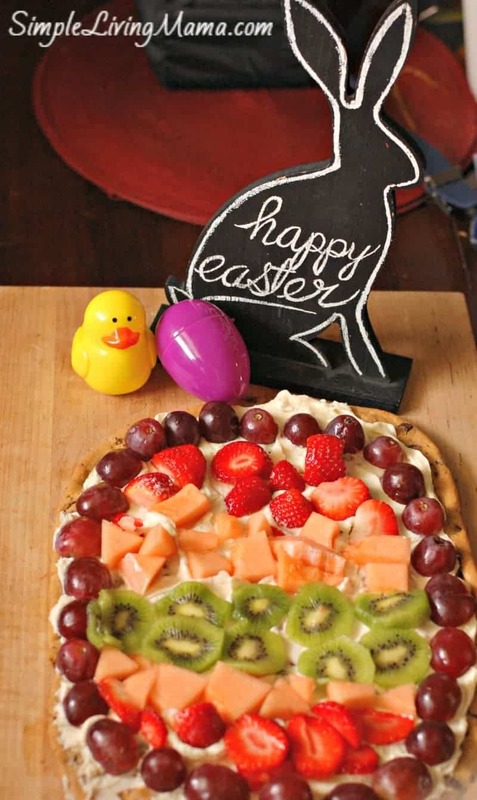 A few years ago I made an Easter egg fruit pizza for our Easter gathering. Everyone loved it! Today I’m going to show you how to make it yourself! First, you need to start with cookie dough. 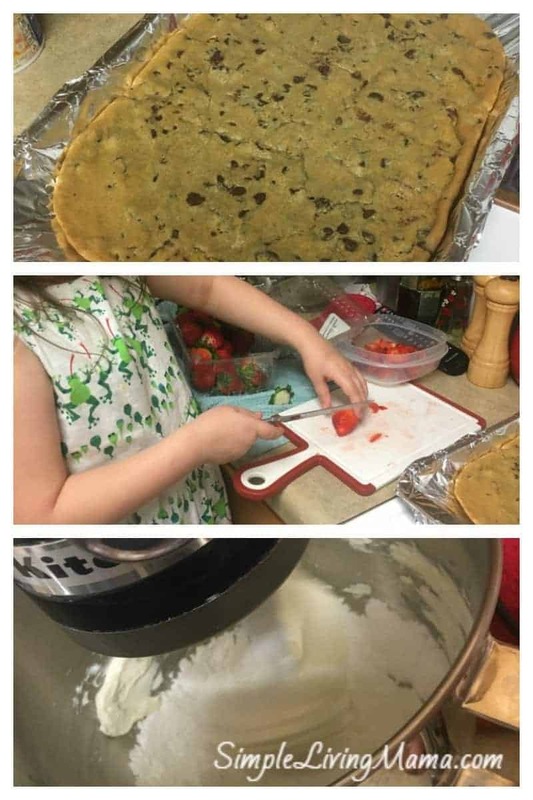 I use store bought cookie dough. Now, you want to do your best to shape it into an egg shape. Mine fell a little short, and ended up being more oval, less egg, but it still works. Just imagine it’s an egg shape! Bake it in the oven until it is set. You don’t want it too hard, but you don’t want it mushy, or it will fall apart. Meanwhile, cut up all your fruit. We used grapes, strawberries, cantaloupe, and kiwi. You’ll also want to mix up the icing. It’s simply 1 block of cream cheese, 1/4 cup powdered sugar and 1/4 tsp vanilla. Yum! You’ll then spread the icing on the cookie dough once it is completely cooled. Finally arrange all of your fruit slices in a way that makes you happy! 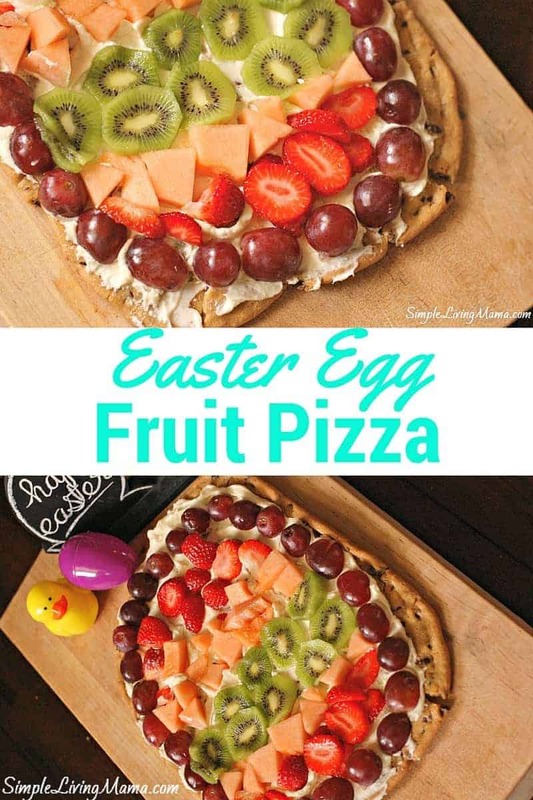 If you’re looking for a yummy dessert to bring to your next Easter gathering, give this Easter egg fruit pizza a try. Your family will probably remember it for years to come. Plus, it goes great with any Easter decor you may have! 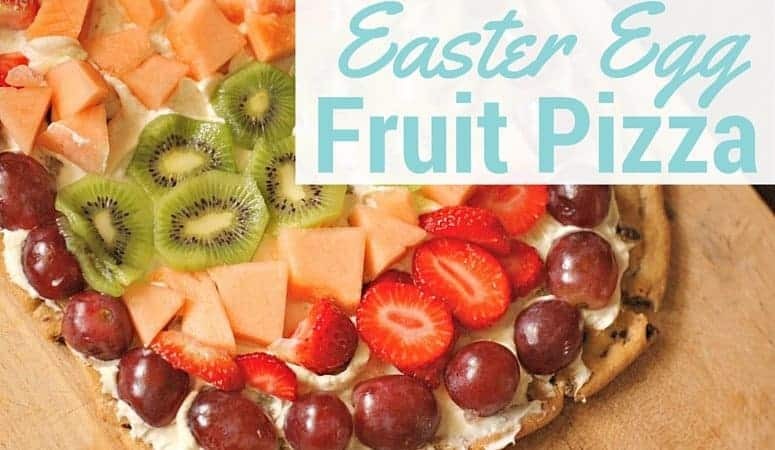 A fun and delicious dessert to serve at your Easter gathering! Roll out cookie dough and form into an egg shape on a foil lined cookie sheet. Combine cream cheese, powdered sugar, and vanilla in a mixer to form icing. Spread icing on cooled cookie. Store in the refrigerator until ready to serve! This is so cute and looks so yummy. I’m going to make this this year!